As we all know, sometimes there’s nothing better than a cold beer to end off the workweek and get us into weekend mode. Here at Foodie, we always work hard, so naturally we like to play hard too! 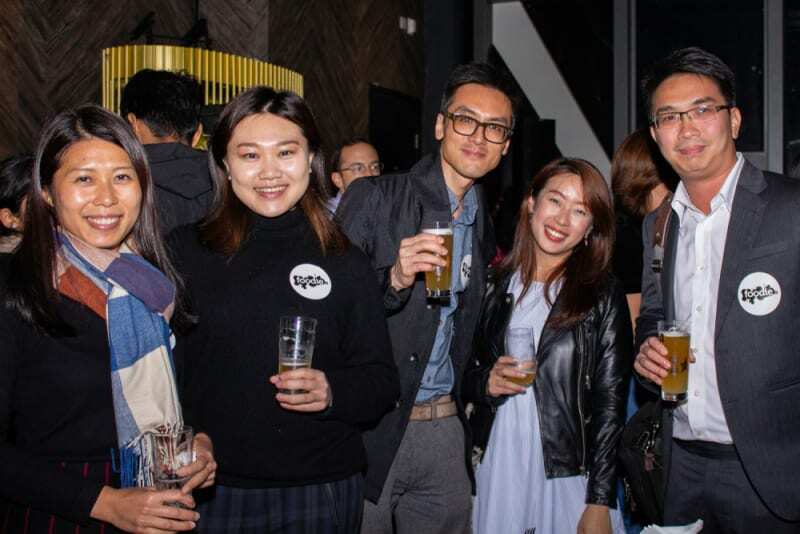 This is why we recently hosted our Free-Flow Friday in partnership with Estrella Damm at Causeway Bay’s ultra-cool Club Nine. If you were kind enough to join us, read on to reminisce. 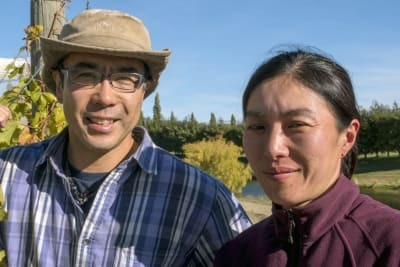 If you missed this one, read on – and we do hope you’ll join us next time. 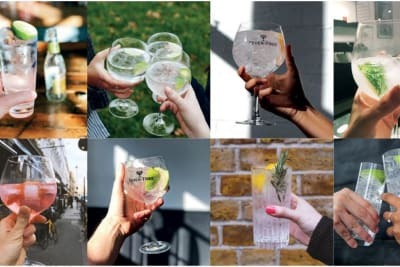 One ticket entitled guests to unlimited Estrella Damm and Damm Lemon beer, as well as Sichuan snacks – for three whole happy hours! Those who purchased group tickets got to enjoy a free game of beer pong on one of Club Nine’s high-tech interactive tables. Let’s take a closer look at some of the event’s highlights, shall we? The beer was a big hit. How could it not be when we had some of the best Mediterranean beer out there? Estrella Damm still uses its original recipe from 1876, made with all-natural ingredients. Guests also got to try something new with Estrella’s Damm Lemon, which has a sweet and refreshing lemon flavour with just a hint of lime. 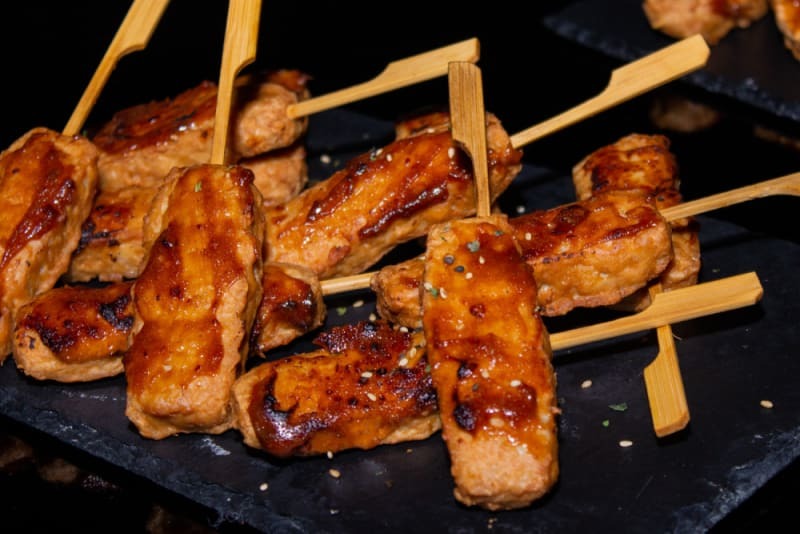 Club Nine supplied us with Sichuan snacks throughout the event. The most popular of these were the slightly spicy chicken skewers, which disappeared within seconds each time a new tray appeared! Aside from these meaty treats, we also snacked on Club Nine’s signature ma po tofu nachos and truffle fries. 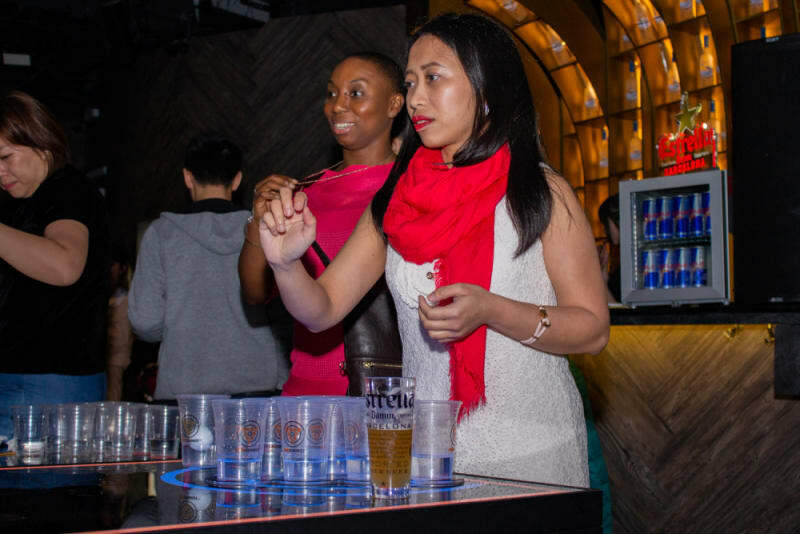 Our groups of guests who purchased a ticket for four enjoyed a free game of beer pong. Club Nine is known for its interactive table games – and who doesn’t love a good drinking game? 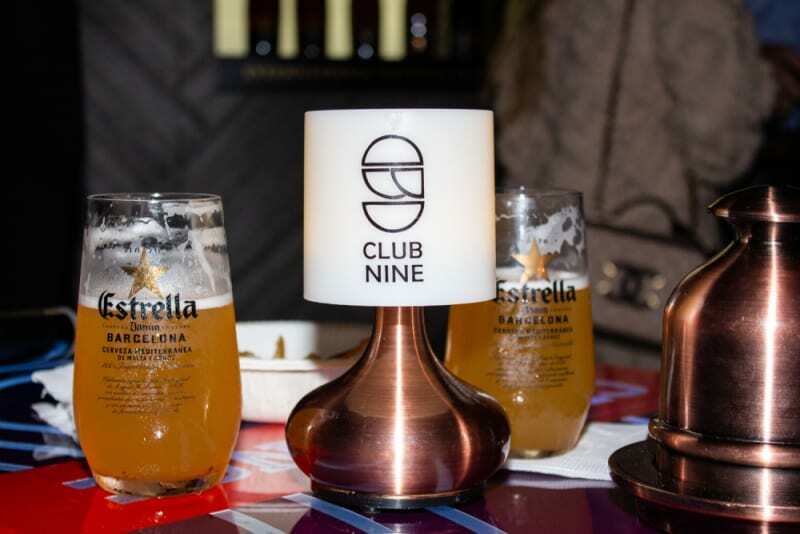 Our fun-loving Foodie Clubbers had a great time competing with friends while sipping on Estrella Damm. Towards the end of the night, we announced our lucky draw winners. The winners were randomly selected by our Estrella Damm representative and read out by the Foodie team. 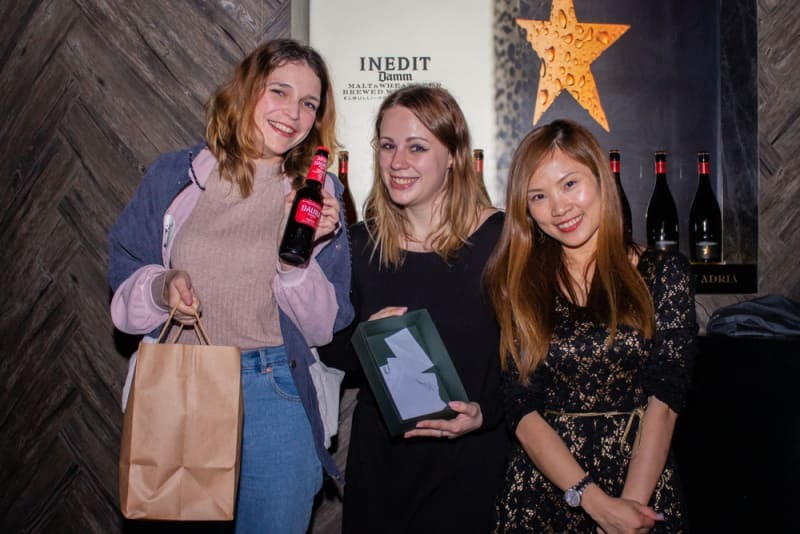 There were three lucky winners who each took home a goodie bag courtesy of Estrella Damm. The goodie bags contained an FCB scarf and apron, as well as two Estrella Damm glasses and four bottles of beer! No Foodie event would be complete without the company of our wonderful Foodie Club members. Nothing makes us happier than seeing our Foodie Clubbers having fun with smiles on their faces. We also loved meeting all the new people who had not yet been introduced to our Foodie ways. The social nature of the event allowed people to chat, unwind and start their weekend off right. 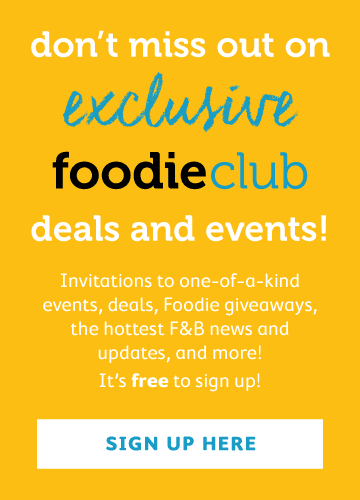 To be the first to hear about events just like this one, join Foodie Club here.